how much backcovers does sony ericsson give in the box? 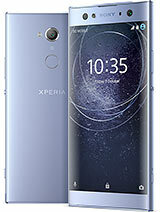 Xperia x8 or Nokia x3 touch and type? AnonD-15574, 29 Jul 2011I have it,but i have and k800 and i can't explain to myself that after 5 years k800 has the ca... moreI agree, the camera is poor. I belive it is a design decision by se to only put good cameras on their expensive phones. the x8 is cheap. so crap camera. the k800 was top of the range, when it came out. I'ld really like to know is skype on this phone could connect the iphones shype when we r using the wifi connection or even the 3g technology ??? please respond asap !! could we do video call by skype?? is there any problem of this set's flash??? Guys. Can we upgrade this phone to Android 2.3 Gingerbread? Please help. Hey guys, can you tell me xperia x8 or x10 mini pro which one is best? ?